brainstorm recently released a cool Venus cloud texture on the Russian forum here. I decided to make a few edits to make it look better in SE and give it slightly more realistic colors. Installation is very simple. Just place the file in the /textures/planets folder of your SE directory, overwriting the original file. Back up the original file first if desired. Enjoy (and thanks to brainstorm for the source texture)! Such big textures must be converted into cubemap. Otherwise they will make huge lag when loading, and uses memory not effectively. Otherwise they will make huge lag when loading, and uses memory not effectively. For me it loads instantly. Also, a 4096*2048 RGB texture only takes up 24 MB of memory if I'm not mistaken. A texture like this might be an issue for people with very low-spec systems, but for most users it would not be a problem. I will make a cubemap version if there is demand for it. In next version (probably 0.98) I will remove support of non-cubemap textures. Texture cache will be optimized to store a lot of tiles with the same dimensions, say 256*256. HarbingerDawn, thank you for correcting this texture It's really much better. Can you upload this in losseless (png) format? Can you upload this in losseless (png) format? 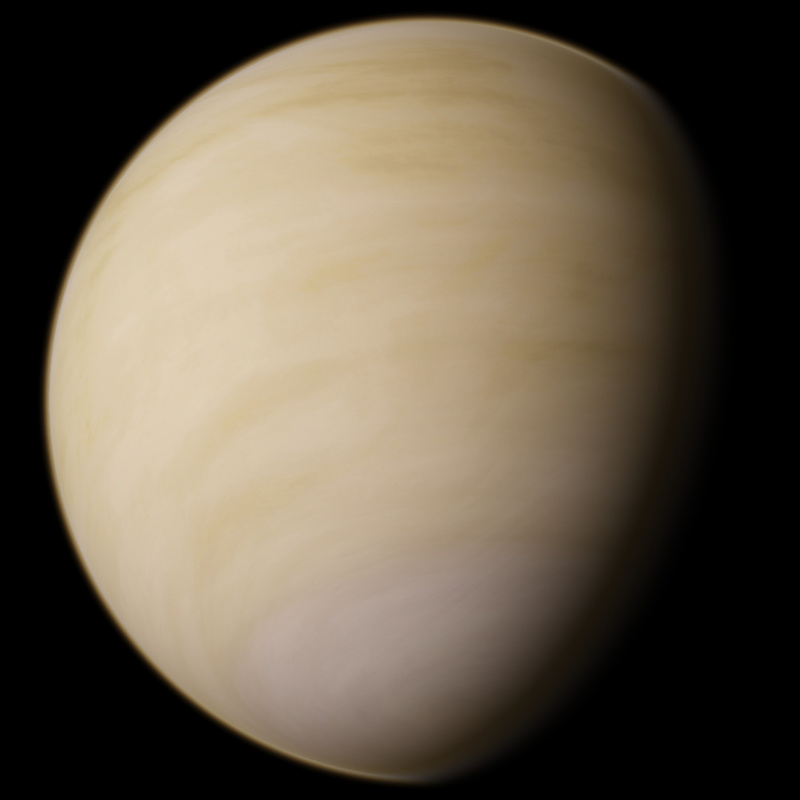 This texture of Venus' clouds looks much better than the current default texture. Makes a good potential default texture in future versions of Space Engine. Does anyone know if we can still use this texture in current version SE 0.980? Or must it be converted to cubemap tiles first? I tend to agree with jjliang's statement that it looks more interesting as it has more variations compared to the default one. It can be used but there's a little seam. I tried to remove it and I converted it into cubemap just to try the cubemap utility. It's the first time I used it so try it "as it is"
Place the .pak file into addons directory.